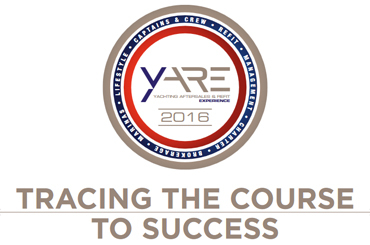 At its 6th Edition, Yare is considered one of the most original and exclusive business meeting at an international level. The event takes place in Italy and it is dedicated to the after-sales and refit in the super and megayacht sector. Every year, Yare offers to the participating Companies and Captains the chance to take part in intensive days of business, networking, information and debates regarding the Superyacht sector. network between companies and end users in the technical and decisional area of refi tting, such as brokers, captains and management societies of super yachts, surveyors, international registers, shipowners’ representatives.